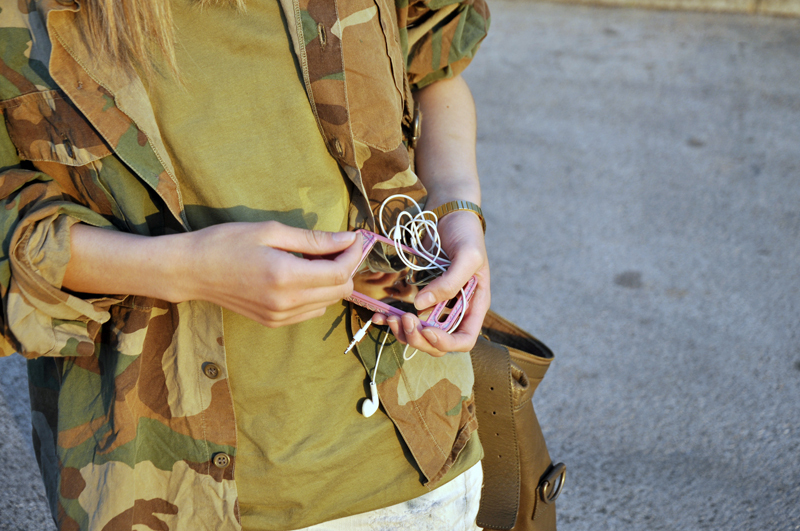 My PINK iphone case adds a "so inappropriate" detail to a edgy and bold old army jacket! But, it's ok you know I love that kind of things, where inappropriate and appropriate meets! After a variate cowboy inspired times, sport classics, and others, now its a army look time! You always look great!! Love your glasses! Love that edgy outfit!! Looks good on you!! Love that you wear your boyfriends camo jacket, love the look you created! You definitely make camo look good! The jacket is fantastic! I love taking my boyfriends stuff haha. That bag is also really lovely and that's an interesting idea with the knee high boots!